Lydia Gurley’s endurance base comes from road racing, cyclo-cross and a couple of Ironman triathlons. 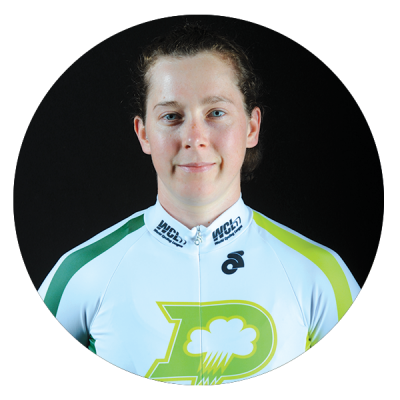 She has recently put her PhD studies in renewable energy on hold to pursue cycling full time with a full schedule of races in Ireland, throughout the UK, Belgium, the Netherlands and Germany. Her recent strong showing at the Berlin Six Day where she won a fast points race from many of the WCL’s top women indicates that she is in top form and ready to do battle in Carson as a solid performer for the Thunder.